Jose Mourinho says that he is reasonably content with the signings made by Manchester United, even though the club may have missed out on a few transfer targets. Mourinho has been extremely active in the transfer market in order to make United title contenders once again. 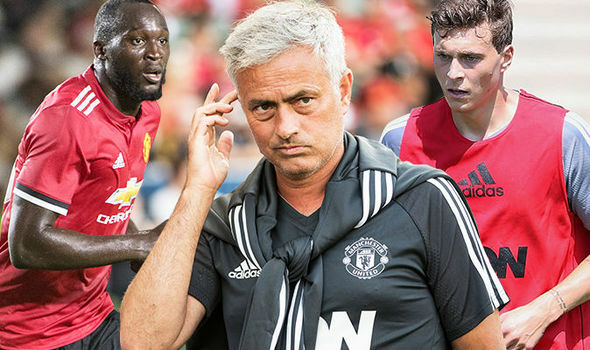 The club have backed the manager with the signings of Romelu Lukaku, Nemanja Matic, and Victor Lindelof amongst others. However, there have been players who have so far been out of the reach for the Red Devils. The most prominent transfer target has been Ivan Perisic, but United have been unable to come to terms with Inter Milan for the transfer of the 28-year-old. United have spent more than £ 150 million on new players this summer. It has helped them make a strong start to the season with back-to-back 4-0 wins. Mourinho refused to rule out the possibility of seeing more signings before the end of the transfer market, but he says that his squad has been enriched compared to last season. United failed to make it to the top four once again, but winning the Europa League put the club back into the Champions League group stages directly. Mourinho sees his team taking on Leicester City hoping for a third consecutive 4-0 win this weekend. “Everyone knows I would like a fourth player and I cannot hide that because I had that in my mind.But I am happy if I am not going to have that and I don’t think I am going to have that.I was the first to tell my board not to feel any kind of pressure from me in that respect.Probably next summer, I will have to try and get a player from a position I think can make us stronger,” said Mourinho, who has become the world’s first manager to spend more than £1 billion on new players. Copyright © 2019 Live Soccer Guide All Right Reserved.